Important internal and external structures are illustrated and their functions described. 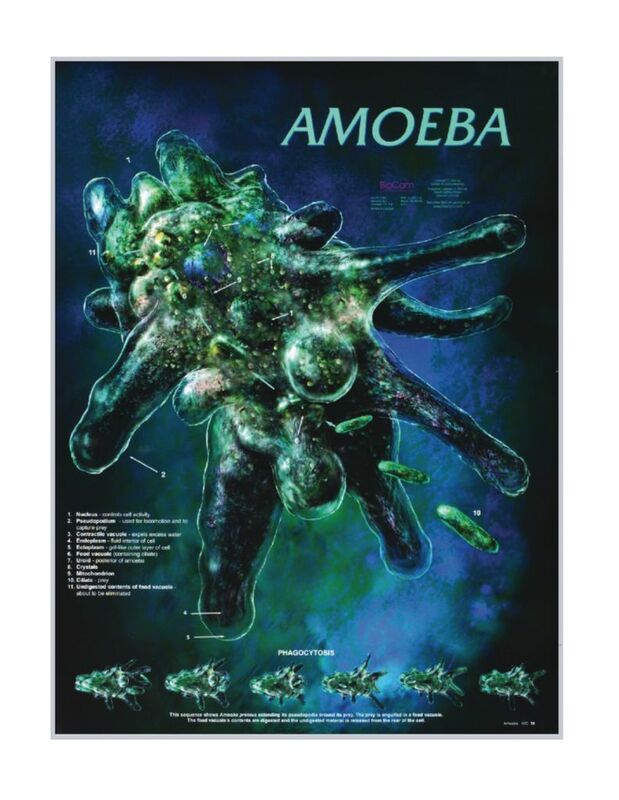 The Amoeba poster shows the pseudopodia and also features the process of phagocytosis. The Paramecium poster uses four surface views of a Paramecium to show all its structures.